Aman announces the launch of a skincare collection, made bespoke for the brand, which not only embodies and celebrates but is also inspired by its constellation of hotels and resorts. 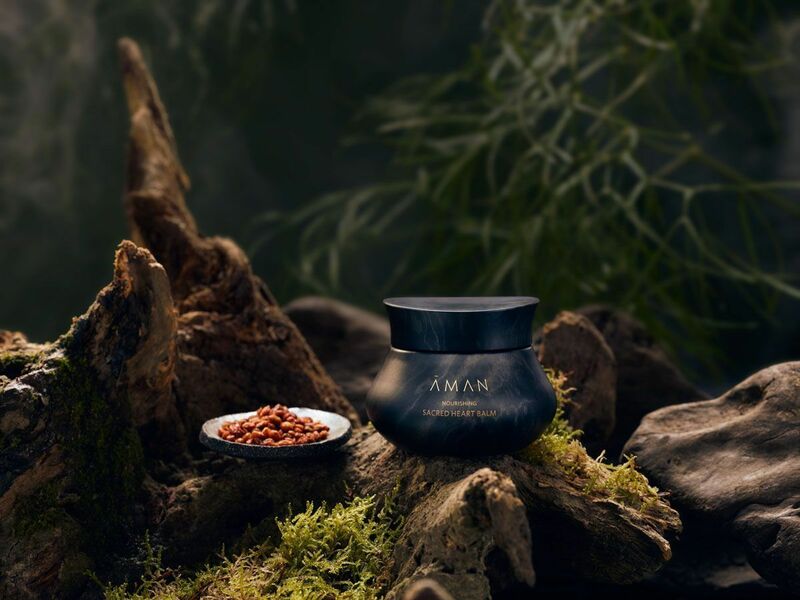 Introducing a collection of 30 products on the occasion of the brand’s 30th anniversary, Aman Skincare has been formulated using an exotic roll-call of natural, rare and precious ingredients, many of which have been wild-harvested in various Aman destinations. Signature products: Hyaluronic Face Hydrator, Active Marine Mask, Palo Santo Salve. Signature products: Golden Body Serum, Sacred Heart Balm, Coconut Milk Bath. Ingredients include jade, gold, honey, sea buckthorn, and rosehip – the very finest, most precious treatments that nature has to offer. Alongside the unveiling of this collection of skincare, at each of its resorts, Aman has created a new menu of spa treatments that utilise the products and complement the existing spa treatments which are influenced by local holistic traditions.